Explore native plants at Brooklyn Botanic Garden (BBG)! This hands-on, inquiry-based course focuses on plant ecology and experiential learning in the field. Participants get a behind-the-scenes look at BBG’s newest addition—the Native Flora Garden Extension. This stunning new display is home to plant communities that can be found within 100 miles of New York City, from those of the pine barrens of New Jersey and Long Island to the eastern deciduous forest. Participants will discover the important role these plant communities play in our local ecosystem. Fee includes curriculum materials, reproducible handouts, plants, and potting-up supplies. What Did a Plant Ever Do for You? This course provides an introduction to the science and art of botany and horticulture, taught in the context of the extensive indoor and outdoor plant collections of Brooklyn Botanic Garden (BBG). An understanding of the value of plants in natural and human history will complement an inquiry–based approach to learning how plants are built, how they work, and how they interact with the living and nonliving components of the diverse environments they inhabit. Fee includes curriculum materials, reproducible handouts, plants, and potting-up supplies. *3 "P" credits available for an additional $125 fee through NYC DOE's After School Professional Development Program. You must register both for the class through BBG and for the credit through ASPDP. For questions, please call BBG's teacher education coordinator at 718-623-7381. Use this matrix to find NYC Science Performance Standards supported in BBG School Programs. 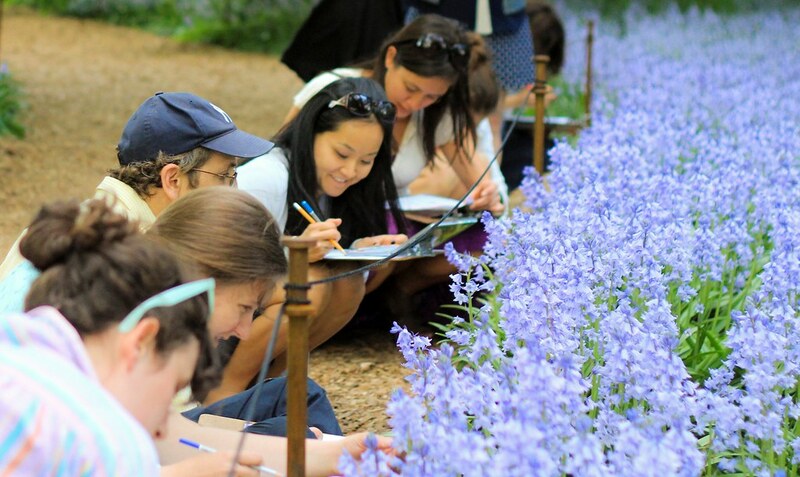 A group of teachers take notes during a professional development course at Brooklyn Botanic Garden. Photo by Mohammed Alomeri. Brooklyn Botanic Garden provides free visits for school and camp groups. Book a field trip today. The Garden Apprentice Program is a great way for teens to learn about urban agriculture and the environment!